Golden retrievers and Labrador retrievers are wonderful dogs that we all love to have. Similar in size and personality, they are usually mistakenly known as one same breed by many people. In fact, goldens and labradors are two different breeds. So how different are they? Golden retriever originated in Scotland in the 1800s, bred to be a sporting dog. Thus, golden retrievers enjoy physical activities and hunting games. Their trainability is the reason why they are named Retrievers. Labrador Retrievers, also commonly known for their trainability, originated in Canada and was first used as a working water dog. In general, the two breeds were first bred to be working dogs, so they possess not only traits that allow them to be tolerate harsh working conditions but also abilities to work in long duration. In fact, these Retrievers are commonly used as guide dogs, security dogs, hunting dogs, or for other special purposes. Generally, goldens and labradors are both categorized as medium-sized to large dogs. Their sizes are not too much different. In some cases, labradors are slightly bigger than golden retrievers. In both breeds, the size of female dogs is always smaller than males. For golden retrievers, female heights vary from 21 to 22 inches (note that height is measured at the shoulder blades), while male goldens can grow up to 24 inches. For Labradors, the heights are quite similar, except the fact that Labs can grow larger than Goldens for about half an inch. The coat color is the most notable difference between these two breeds. For golden retrievers, it is obvious that the most common coat color is gold. The golden shades vary from dark to light, and not all golden retrievers have the same shade. On the other hand, Labradors are commonly known in three colors: black, chocolate, and yellow. Black and chocolate-colored labradors are easily distinguished from Golden retrievers, but how about yellow labradors ? 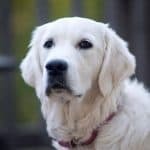 It would be more difficult to tell the difference between a golden retriever and a yellow labrador as their coating color are similar; however, their coat types are not. Usually, labradors have shorter hair than goldens. Both breeds possess a double coat: one water-resistant top coat, and one softer undercoat. 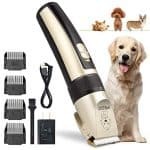 For golden retrievers, some dog owners prefer long, soft and silky coating despite the fact that they are hunting dogs which are supposed to have shorter hair. In winter, the undercoat tends to grow denser whereas in summer, it sheds. Thus, regular grooming is essential when having a golden retriever in order to remove loose fur. Grooming should be done at least once a week for goldens. 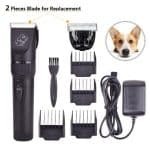 In addition, longer fur also needs regular trimming. You can use a scissor to trim the fur. However, remember that golden retrievers should not be shaved. For labrador retrievers, they also possess a double coat. The top coat is also water-repellant, but it is shorter compared to that of golden retrievers. The undercoat is similar to golden retriever’s, which is soft and sheds during warm weather. Generally, the water-resistant coats are similar in both breeds. This traces back to the original purpose of this breed, which was for hunting and retrieving items. Thus, the water-resistant feature allows the breeds to tolerate harsh weather conditions. When it comes to temperament, it is the most difficult to tell the difference because both breeds are similarly friendly, obedient, and trainable. Labradors and goldens are good dogs for families, even families with kids. In some cases, goldens are known to be softer and more sensitive than labradors, whereas labradors are considered to be more adaptable to kids. No matter which dog you have, it is important to get to know your dog when he first comes to the house. Both dogs are people-pleasers, so they would be happy to get along with you and your family. 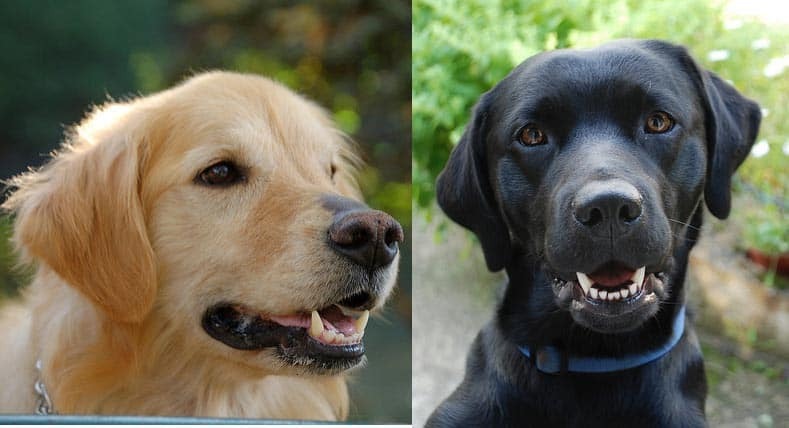 As so-called “retrievers”, Goldens and Labradors both enjoy playing with people and do not mind running around and participating in outdoor activities with families. Thus, they are good family dog. 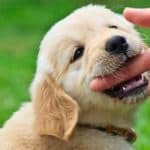 Golden retrievers and labrador retrievers share many features in common, and sometimes it is not easy to distinguish the two. However, they are still two different breeds with various different needs. Nevertheless, both breeds are friendly and lovable, which are suitable for families. If you like having a dog that is well behaved and enjoy playing time with you, a golden or a labrador would always be a great choice. Since they are still different breeds, they require different amount of care and protection against illnesses. To know best about your dog, it is recommended that you consult a professional. The above is some differences between the two breeds, but we are sure that these differences do not affect at all the joyful moments they would bring you at home.